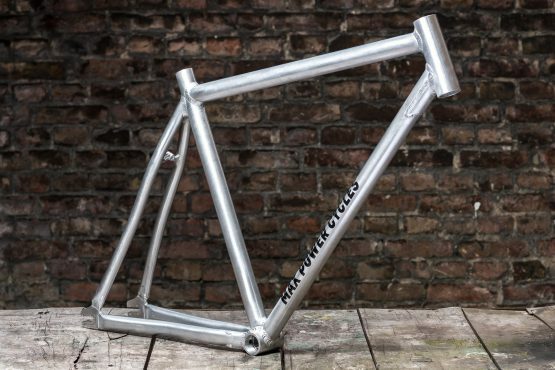 Made from high strength 7020 aircraft aluminium tubing, this is a very strong frame at rather light weight. 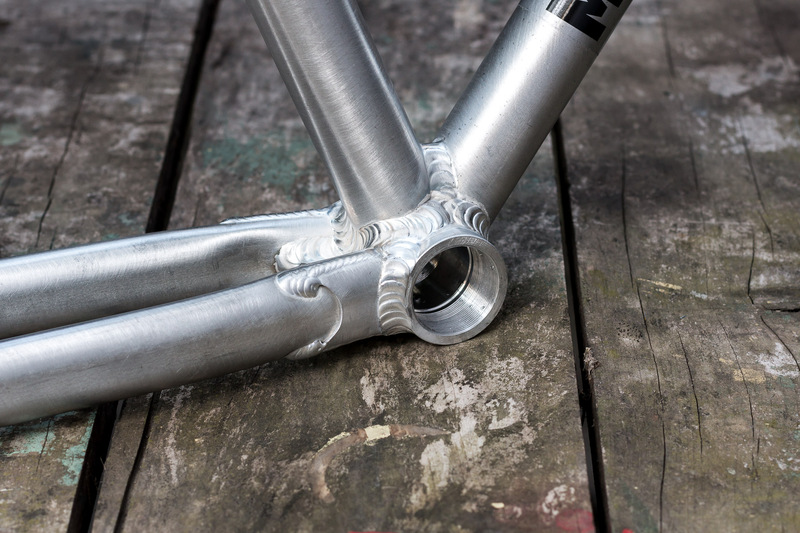 The geometry is based on our experiences with 26″ polo geometries, which we adjusted and transferred to 700c wheels. 5 year warranty against defect in material and workmanship. 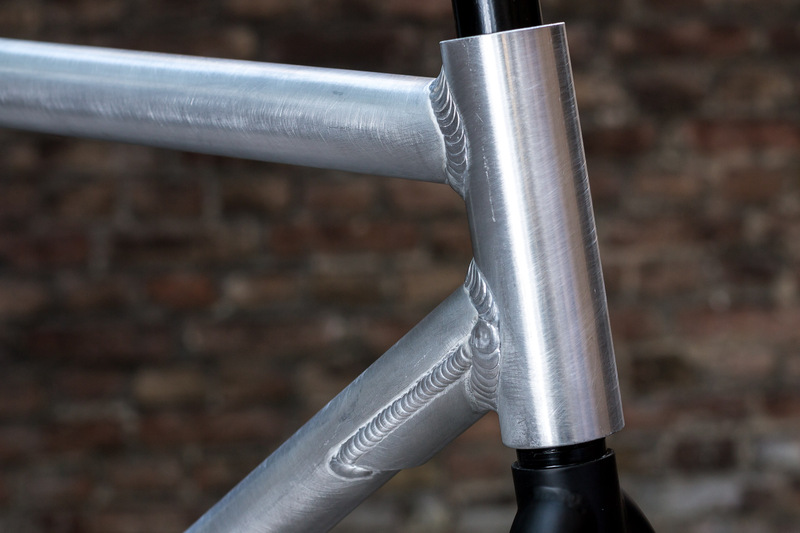 Custom CNC horizontal track dropouts. In 2016, Piks from Outlawz Birds played and won the 7th Hardcourt Bikepolo World Championships in Timaru on this frame. Also available as framekit (including forks). Raw frames are usually in stock, delivery time is 1-3 weeks depending on the country of destination. Add another 1-2 weeks for custom paintjobs. A few words on top tube length: This frame is designed to give the rider a pretty standard weight distribution and riding position on the bike, without needing to run a standard 100 mm stem (which would increase the travel radius on the riders hands while turning). 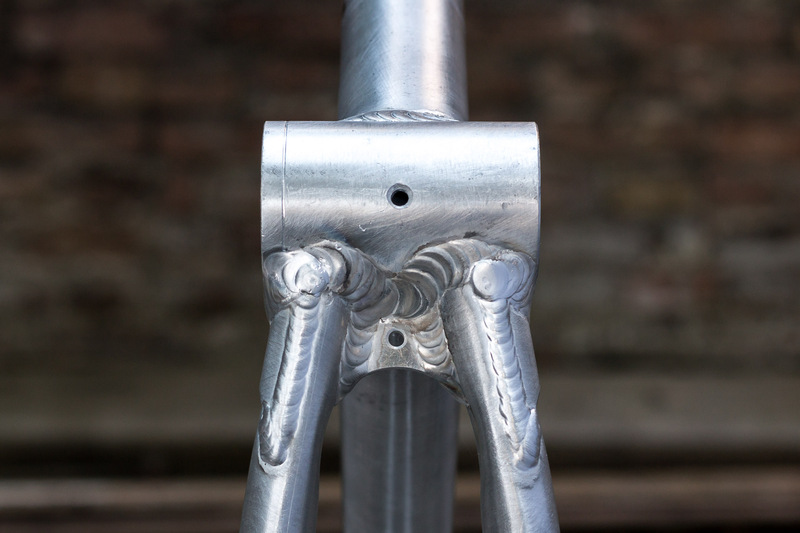 As the top tube is a bit longer than usual, subtract 15 mm from your normal stem length to maintain your usual riding position.